Do you take steps to hide your song titles from others, or are you happy to share? 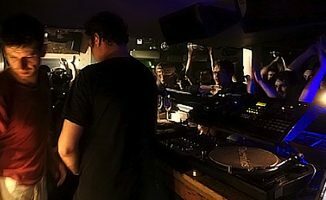 Should DJs share the titles and sources of their music with other DJs or with clubbers? 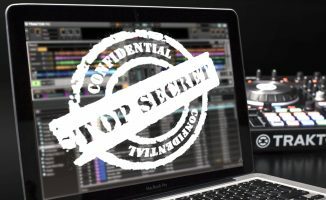 Is it a surefire way to make other DJs hate you if you choose to cover your laptop screen or take other measures so other people can’t see the titles of your tunes when you’re DJing? 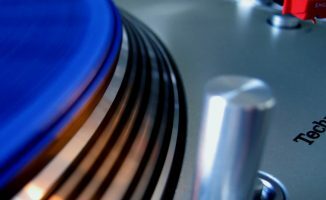 I’ve always been more than happy to let people see the titles of my music (in the “old days”, I’d often pass a record sleeve across the booth to show people what I was spinning), but I recently had a conversation with a DJ who’s the opposite, and who takes steps to stop this happening. This got me thinking not only about exactly why I am so enthusiastic about sharing the titles of my tracks, but also about why others don’t. This particular DJ told me about how in a venue where he plays, there are stairs behind the DJ booth, and people can peer in easily and see the DJ’s laptop screen – and that they often did when he was playing, for long periods of time and intrusively. His solution was to use a 3M privacy filter on the laptop, that makes the screen impossible to view unless you’re looking at it straight on (businessmen use these so they can work on confidential matters on their laptops when, for instance, sat next to a stranger on a plane). 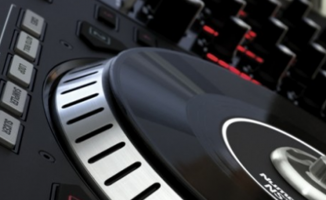 He also mentioned “solutions” like the Serato DJ-AM Easter Egg, the modern equivalent of using blank paper cutouts over the labels in the centre of your records – something I occasionally observed DJs doing all those years ago. Personally I’ve never done this kind of thing, for lots of reasons. I think sharing your music with people who ask is friendly and helps you to build a fan base, which ultimately furthers your DJing career. But also I think that – on a deeper level – we ought to share song titles so other people can also own copies of tracks they love. Also, as I often ask DJs the titles of tracks myself, I feel it’s the least I can do in return. Of course, nowadays people can just Shazam the more popular stuff, and at the other end of the spectrum, the stuff you really don’t want to share – for instance, your own unreleased mashups or productions – won’t be “Shazamable” anyway. But everything else? I am happy to make it easy for people to grab titles from me. 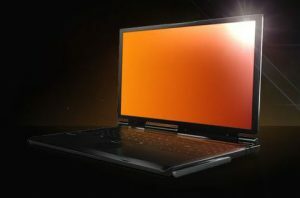 A laptop fitted with a 3M gold-coloured privacy filter, making it impossible to see what’s on the screen from an angle. However, the DJ I was discussing this with said he worked in a very competitive scene, and had had people photographing his open library on the screen, and even had a CD wallet stolen once only to hear his own mashups played back at him at a later date! His argument against sharing was that “in the age of instant gratification fewer people want to want to invest the time to discover new music themselves”. He told me that while he doesn’t take an unfriendly attitude (“if people were to ask I’d happily discuss it with them and point them in the right direction to find more”), he gets increasingly frustrated with people behaving this way having spent years of time and money building up his collection. “DJing is as much about song selection as it is about beat matching and other technical elements,” he explained. “I do think the amount of time one takes to research and build their library is an important resource and if you’re dedicated to it then you deserve the competitive edge it might afford you. It should at least be up to you whether to share or not. I think he’s right there: Letting someone take all the details of big chunks of – or even your entire – library is not on. But for me, the biggest skills of a DJ is knowing how often and when to play tracks, and the magic of being led by, as well as leading, your crowd. These skills can’t be “given” to someone when you give them the titles of some of the music you choose to play – which is ultimately why I’m happy to do it. I’m interested to know what you think. Have you ever hidden track titles or refused to tell someone the name of a tune? Do you get constantly hassled for the names of your tracks? Or have you asked a DJ the title of something only to be refused an answer? Overall, should DJs share details about their music with anyone who’s interested? Please add your thoughts and experiences in the comments below. "Do You Have That Song? Um, I Forgot The Name…"
I am a real believer in sharing music, it helps artists get more fans and I get a real kick out of someone saying later on that they downloaded an obscure Nu-Disco track that was released 2 days ago off the back of me telling them. This works both ways too as I’m always questioning DJs on what tune they are playing. So can’t take without giving. I am in this camp as well as it helps to build relationships. On the strength of sharing, I’ve been able to get gigs through those contacts. It is definitely a two-way street. Why worry? Anyone with a smart phone can simply open “Shazam” and figure out what you’re playing. Wrong though. Many bootleg and remixes cannot be ID through “Shazam”. Meaning, most of the time DJs play other people’s productions. So why protect something you have no intellectual ownership of? Also, sharing is in my opinion a matter of decent moral behavior. It’s the dj-equivalent to ‘lending a cup of sugar’ to your neighbour. We aren’t neighbors though, we are friendly business competitors. You can’t liken it to “lending a cup of sugar”. Because it makes much more sense to use the analogy of competitive business – you then have change “sugar” to “business secrets”. You wanna stay in business? Keep your secret weapons secret. Personally I do share from time to time. But giving away everything is silly. We’re talking here about sharing a few tracks, not your full DJ-identy. The way you mix, when to play what, how to get your set to that ultimate climax., that sort a things. That, plus your connections (promoters, club managers) are your business secrets. Those few tracks you have found, they add very little value to you as a DJ anymore in an age where we have Beatport and Shazam. Doesn’t really sound like you do a lot of deep digging, though I do agree on the other points. Dig deeper dude! I just use soundhound or shazam apps and got the name of the track. All that effort to conceal the title of your track for nothing. Shazam is getting very good with house tracks lately. 30 seconds later on shazam… BOOM!! 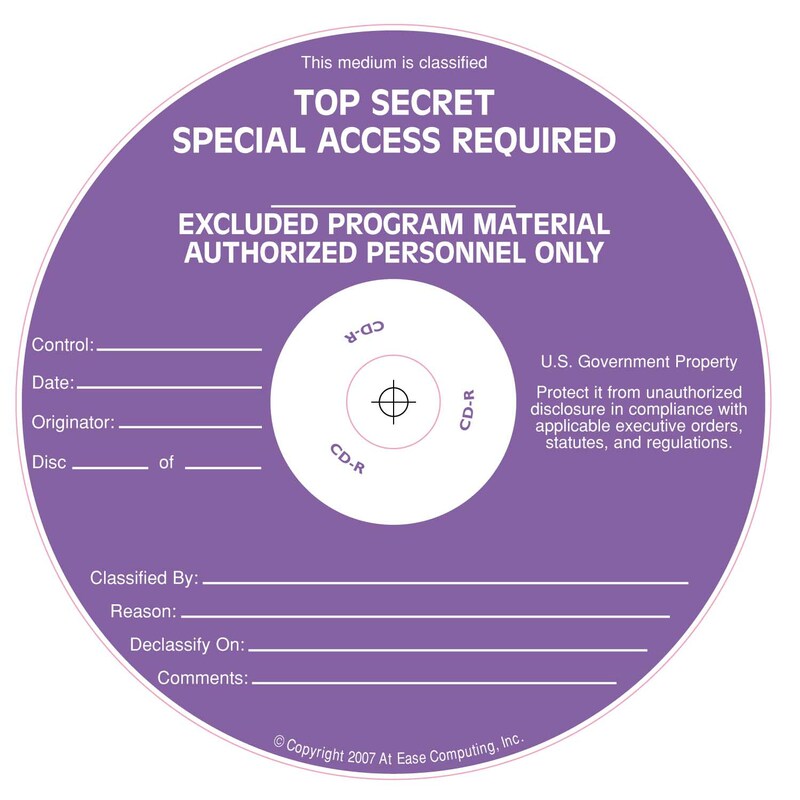 haha, not such the exclusive track you thought it was eh…. I have to say i share all my music when djs or clubbers ask for it especially if it is personal work. In my opinion we are all in the business to make people happy with our music. Also if they play my bootlegs or mashups I would be honored. What genres are your bootlegs and mashups? i will tell anyone what song i am playing…may or may not tell them where i got it. Go to my website, click on my mixes, tracklists are there. Shop away. I wanted to link the titles to pages on Beatport and Traxsource, but they both dumped their affiliate programs, so I felt then I should not promote their sites unless I’m getting something for the effort. Did you steal my playlist? I play 90% of the tracks of your tracklist!! Nice set btw. If you play 90% of of the tracks on my playlist, aren’t you stealing my playlist then??? 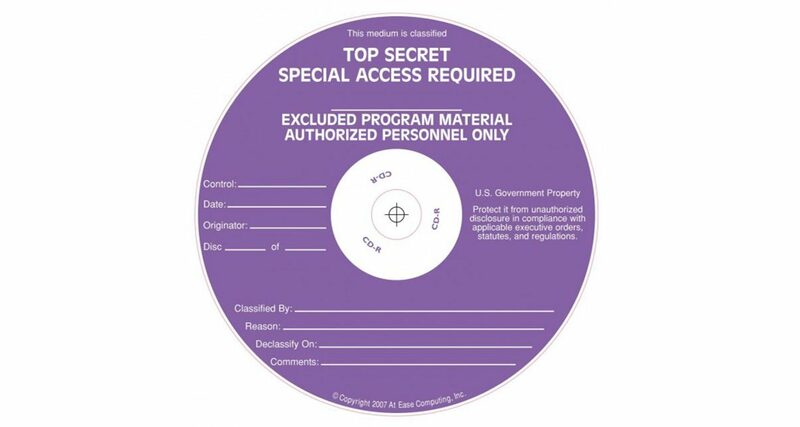 With technology today there are too many ways to find out what “your” secret music list is. A true waste of time trying too hide it. Only person I see covering their track names, I had a drunk chat to. He says it’s because he plays loads of mash ups from other people, and as long as he looks busy, people assume it is him doing all the remixing and mashing. Ha ha, well at least he was honest! I never minded sharing knowledge with everyone, fellow dj or patron. That’s how I got many good tunes myself. There’s so little revenue artists/producers nowadays get from released music (bittorrents, blogs, blatant stealing) so the least you could do for them is to announce the music and artist, not hide that info. This include mix playlists as well. Sharing your music should be widely appreciated. I love it when you tell someone the certain artist then later on they ask for the artist you gave them weeks ago. Goes to show that people need to be educated on diff artist. I have meet some DJs that they instantly would love to share some tracks and it goes both ways. Agreed, giving your entire set away is something that says more about the person asking than the person being asked! If a music lover wants to know the name of a song they particularly like, that’s really something very different. A real true Dj should never be concerned with his or her record selection. DJing is a fun hobbie that can put a little money in your pocket. Basically it’s job security when a dj feels like this. Most of my real Dj friends share a cloud of music and often share Gigs of music. To be clear, we’re not talking about illegally copying music for people – just sharing song names etc. And which one is the best site for share? I use Soundcloud, but I can upload only 2 hours for free. lol, imagine asking guetta, what song is this? and him saying, it’s mine, im not tellling you and you can’t have it, don’t even listen to it! I share. Its great confirmation your playing something both you and your audience like and a gesture of appreciation to the artist for the great work. We share. Always. We want our party goers to know what we’ve played so they can seek it out themselves if they liked it. We post full set lists on our website and Facebook profile so they can see after the night. And it shows those who didn’t come along what DDS is all about and what they missed! I would ask many times…even in the days of vinyl Some DJs even brought a pad and wrote down the track, tearing it off and handing it to me so I could go buy the vinyl later. Maybe it was because I was in the underground scene. We just believed that we didn’t do the artists any justice by trying to keep their tracks to ourselves. Plus residents back then had solid enough fan bases that there was no way small bedroom DJs could steal their gigs. I want to take it one step further. What do you think about having the artist + song title display on a beamer. There are options with traktor and other software to display this information (I know a Traktor option through Twitter). The problem is though, the guy I play with plays with CDs, so he can’t display his tracks. Additionally it might seem like a bit it’s a bit much. “Hey look at me what I play guyz!11”. What do you think? How do you do that with Traktor and Twitter? I believe you should share your music. Entire Libraries at that. Djing is about giving the people something to listen and dance to. People who care about protecting their own library are DJing for the money. But DJs that share their music are doing it for the right reasons. no one needs to know the naughty secrets in my library… there is stuff in there just for papa. People fear that someone will steal their hard work and will be able to eventually also steal their gig or thunder, because they possess their material. The fact is: I will play 10 songs I know inside out and incorporated into my sets over weeks or even months.Then I will give the same 10 songs to a person that asked for them or even stole them. Share and inspire I say. Sharing means halping each other. Every dj should develop his own style of performing. Play list is also 50% of the work then the other half is you. So keep sharing. I will suggest to Phil to make a post where all can share their own playlists. Haha. I’m guilty of that. When I’m out I inspiration, I usually head to YouTube to find music. I search for mixes to hear songs that I have never hear before. What the DJ is afraid is that the music he used may used back by an another DJ in THE SAME WAY. (As in song A followed by Song B, like what the previous DJ did) Usually other DJ mixtapes help me discover songs that I thought never existed. So I think it’s good that your share! From presonal experience. Once it happened that i was playing some deep house on a Bar. And unfortunately in Albania Deep House is not recognized. During all the set different people aproches and start asking about song titles. I relized that People start liking my music and being interesed on what i was playing. About that is not steling because all the sites like track source or beatport lets you preview a track before you purchase them. Isn’t sharing the music we love the whole point? Otherwise, why bother DJing at all?